Bariatric surgery (also known as weight loss surgery) is used to treat obesity that causes additional health problems, and Medicare covers it for qualified beneficiaries. Your doctor will help you choose from the four types of weight loss surgery to decide which one is right for you and your health. Roux-en-Y gastric bypass (gastric bypass). This is the oldest weight loss surgery still used today. The surgeon creates a small pouch in the top of the stomach and connects the pouch to the beginning of the small intestine. Patients who have this surgery lose about 70 percent of excess weight following the procedure. Laparoscopic adjustable gastric banding (lap band). Like gastric bypass, this surgery limits the amount you can comfortably eat or drink. An inflatable balloon is placed around the upper part of the stomach, and a port is placed under the skin of the abdomen. The balloon can be inflated or deflated by injecting or removing saline through the port. After lap band surgery, Medicare also covers balloon maintenance, or fills. Sleeve gastrectomy (gastric sleeve). In this surgery, about 85 percent of the stomach is separated and removed. The remaining portion is formed into a tube-like shape which cannot hold much food or liquid. 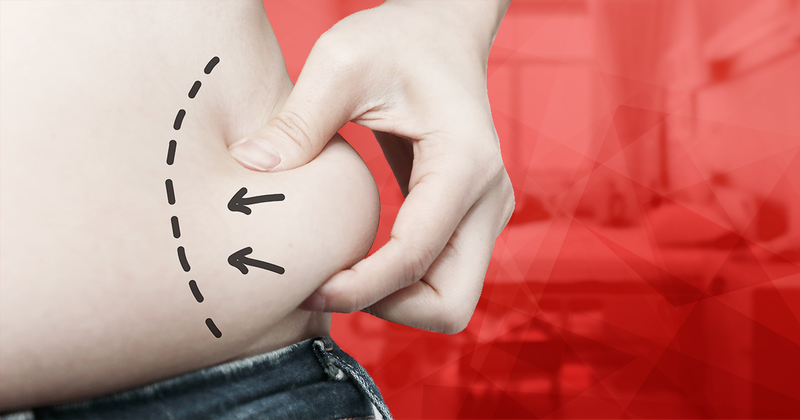 This surgery is the fastest growing weight loss surgery, and patients lose an average 65 percent of their excess weight following the procedure. Duodenal switch with biliopancreatic diversion (BPD/DS or duodenal switch). This relatively new surgery is more complicated with a risk of malnutrition and vitamin deficiency, but it’s also very effective. The surgeon removes a large portion of the stomach and then attaches it to the beginning of the small intestine (duodenum). This is recommended for patients with a BMI of 50 or more. Patients with this procedure lose an average 75 percent of their excess weight. Costs for these surgeries can be hard to predict because you may need additional care after surgery if you have any complications. Before your surgery, contact your doctor, hospital, or surgery center and ask how much the surgery and aftercare will cost you. It’s also very important for you to ask if you will be an outpatient or admitted as an inpatient because it will determine which part of Medicare (Part A or Part B) will cover the procedure and how much Medicare will pay. If you have secondary insurance (Medigap, Medicaid, employment insurance, or coverage from a spouse’s plan), call and ask if they will cover any part of the procedure not covered by Medicare. If you are admitted to the hospital as an inpatient for the procedure, it will be covered by Part A. You will need to pay the $1,364 (2019) Part A deductible, and you may need to pay a daily coinsurance as well. If the procedure is done in an outpatient setting, you will be responsible for 20 percent of the procedure and Medicare will pay for 80 percent after you’ve met the deductible ($185 for 2019). Medicare Part B also covers obesity screenings you’ll need to determine if you qualify for weight loss surgery. Your body mass index (BMI) will need to be at least 35 in order to qualify. If other methods of considerable weight loss have failed you, talk with your doctor about weight loss surgery and contact Medicare to see what your coverage options are.